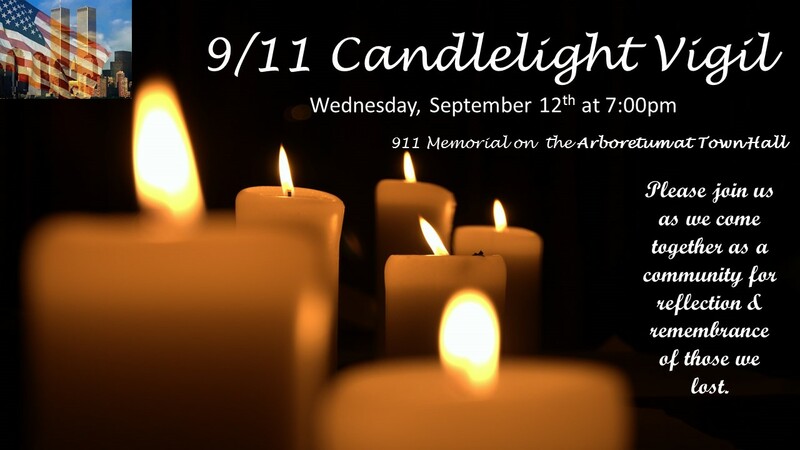 Please join us Wednesday, September 12th for a candlelight ceremony to remember the heroes, volunteers and victims who lost their lives on September 11th, 2001. The ceremony will begin at 7:00 pm at the Manalapan Township 9-11 Memorial. The Memorial is located on the Township Arboretum in front of Town Hall at 120 Freehold Road (Route 522).